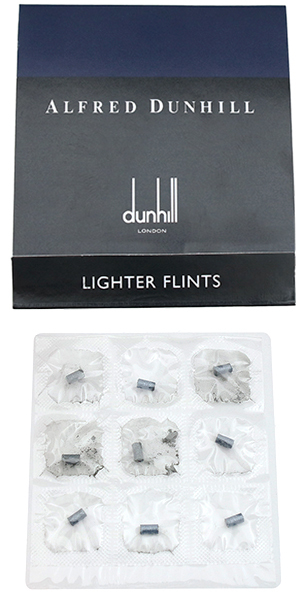 A simple enough item, but an essential one: flints for your cherished Dunhill lighter. As they say of love, where there's no friction, there's no spark — and no matter how much you may love your old Dunhill lighter, without a flint you'll have neither. This, the "blue wallet" pack, comes with 9 flints specially sized for the the Dunhill Dress, Gemline, Sylphide, and Unique lighters, including table models. Not for use with the Rollagas model. I've asked several times for this item to be stocked over several years. I appreciate the fact that you listen. Note: this should be five stars, not four and three-quarters.